Mohamed Abbas is the son of a roti prata man and a hawker lady. 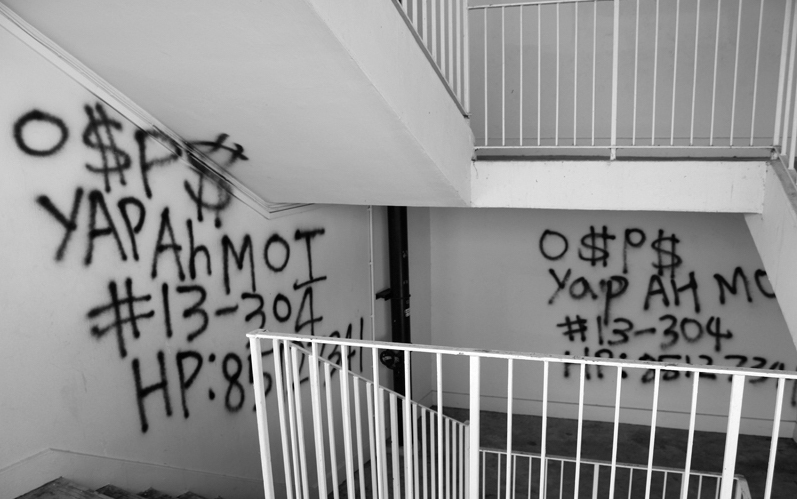 Along with two other siblings, he lived with his parents in a one-room rented HDB flat. Growing up in a low-income family, the 26-year-old understands how difficult it can be to make ends meet, especially for blue-collared workers and those in the lower income segment. “Fortunately, my family did not have too much financial trouble. But around us, stories of hardship among neighbours and friends were very common,” said Abbas. During his army days, Abbas befriended same-aged Hizam Ismail who served in the Guards Battalion with him. Coincidentally, Hizam also hailed from a low-income family and they made a pact to start something together in the future that would make a difference to the low-income group. Abbas noticed that borrowing money in Singapore can be very tricky, especially so for the lower income segment. People from the lower income segment have limited credit relationships with the bank, and this deprives them of getting affordable access to credit. In times of desperation, borrowers tend to go for what is easiest rather than what is financially prudent. They have neither the time nor patience to visit different licensed moneylenders to compare interest rates, terms and conditions, or late payment fees to secure the best deal. Moreover, with about 170 licensed moneylenders in Singapore, it would be tedious for a borrower to research, collate and compare the rates. However, it’s clear these people lack financial education and most of the time, their problems escalate when they take the ‘easy’ way out by turning to illegal loansharks and unlicensed moneylenders for help. Often times, they end up “paying 6 to 30 times more in interest when they turn to alternative lenders,” noted Abbas. 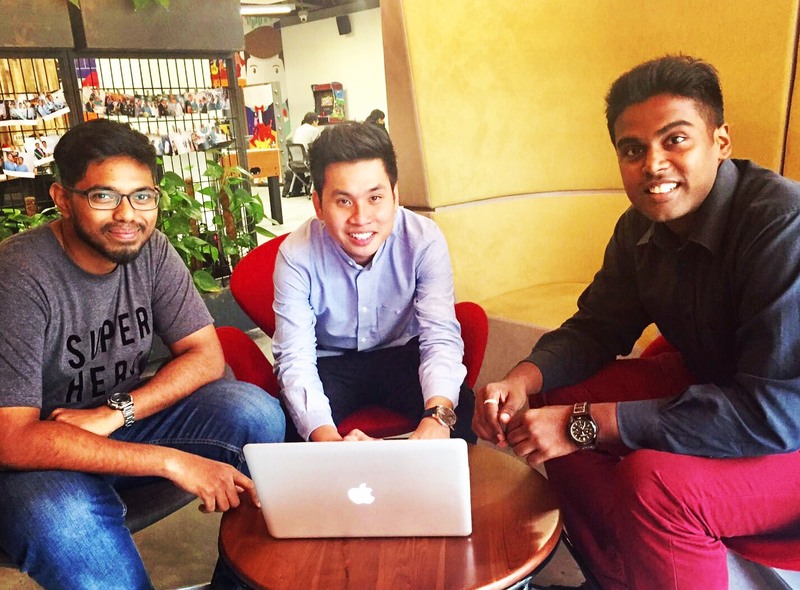 In an attempt to resolve these pain points, Abbas and Hizam came together to kickstart Onelyst in March 2015 – exactly two years ago. Abbas was still pursuing his business degree with a major in banking and finance at Nanyang Technological University (NTU) back then, but he took a two-year leave of absence in 2014 to build the business. That same year, the duo took part in NTU’s Ideasinc, a business plan competition that allows them to pitch their startup idea. The judges loved their idea – empowering the lower income segment to make informed borrowing decisions by improving access to financial information. 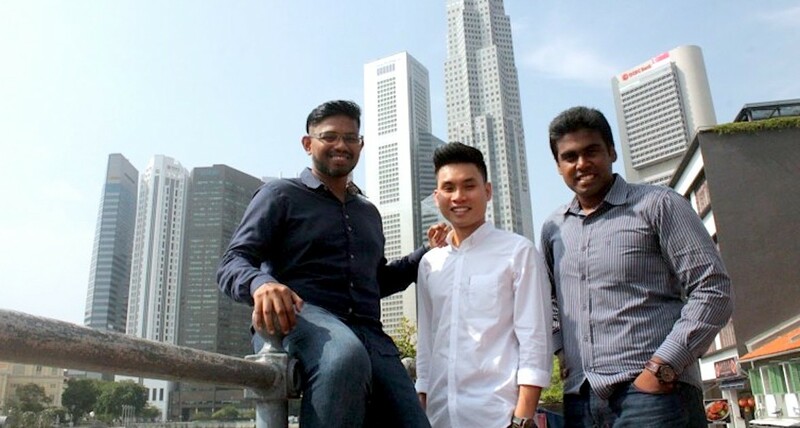 They emerged as the top 10 winner among 100 teams, and received an undisclosed sum of money from Spaze Ventures, a seed capital firm and startup incubator that provides funding and mentorship. 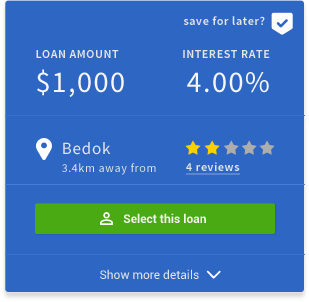 Onelyst was consequently launched – an online portal where people could compare and apply for loans from different licensed moneylenders. “In a simple sense, Onelyst is a data-driven consumer lending marketplace where users can discover personalised loan offers in under 5 minutes,” explained Abbas. Within the first year of business alone, they processed S$75 million worth of loans. And in the first half of 2016, the amount increased to over S$100 million. The startup currently works with 42 licensed moneylenders in Singapore and earns its revenue by charging them a monthly subscription fee. The startup also has a social responsibility component – loan applicants found to have multiple debts will be referred to counsellors. “There are instances where we encounter people who are already in debt, but are looking for more loans. Our company is about providing these segment with affordable loan options, but at the same time, we are also focused on educating and guiding them to come out of their debt trap,” said Abbas. Whenever they encounter such borrowers, Onelyst connects them to debt advisory centres like Association for Muslim Professionals or The Silver Lining. These centres guide and provide them with the support system to help them escape from the vicious debt cycle. Ms Santha’s interview feature with The Straits Times. Read the article here. “One such example is Ms Santha, who tried to commit suicide due to debt problems. Despite the debt, she still came to our platform to borrow more money. Our platform flagged her and we rejected her loan application because of her poor credit history,” said Abbas. 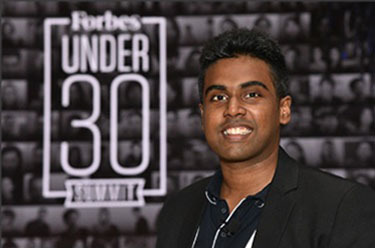 According to Abbas, one of the main business challenges he faced was convincing people that there are actually financially under-served people in Singapore. “By leveraging big data analytics, we are enabling the once deprived segment to get better credit options. We are essentially levelling the playing field for the under-served citizens,” he added. Last November, the team created a cardless payment solution called Rely for the under-banked people in the region. 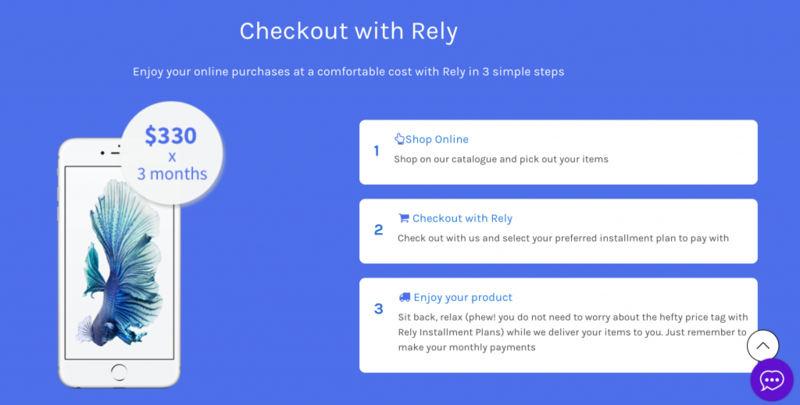 Rely allows individuals who do not meet minimum income requirements for credit cards to buy items via instalment plans. “In Singapore, if you have a credit card, you get instalment plan options. But the blue collared workers who need instalment options are not able to get them. We want to help this group of under-served people to afford products that they really need in their life,” said Abbas. Rely users will be able to choose products, from handphones to tablets, offered by partner retailers, before requesting to buy the items on credit. “We use our internal score, developed through deep data analytics and analysis of non-traditional predictive data points across users’ digital footprint, to complete the credit approval. Once approved, the buyer will receive the merchandise, and repay through instalments,” explained Abbas. He added that the startup wants to nurture responsible spenders to get affordable access to credit. Both Abbas and Hizam have backgrounds in business, economics and finance but since Onelyst is an online platform, it was essential to have an expert in IT. It took them four months to scout the third co-founder – Prakash Raja – who now serves as Chief Technology Officer. “Prakash Raja was one of the people we met, he believed in our vision and left his job at Atos to join us full-time to develop the technology with us,” said Abbas. It’s really inspiring to see how far Abbas has come along in life. Growing up in a low-income family never fazed him. Instead, it spurred him to lend a helping hand to the fellow low-income households in Singapore. It’s little wonder why he was bestowed the honour of being featured in last year’s Forbes 30 Under 30 in the finance and venture capital category in Asia.